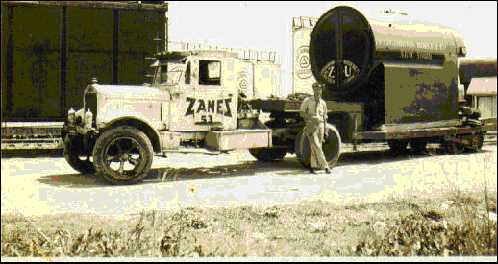 Established first at Dallas and Houston in 1913, W. R. Zanes and Company was founded in Texas by Walter Revere Zanes, Sr., born in Salem, New York on August 7, 1890. Mr. Zanes, Sr. and later Mr. Zanes, Jr. were actively engaged in business partnerships throughout the Dallas and Ft. Worth area, including such endeavors as two separate cartage and drayage companies, and a huge, public warehouse operation. While Dallas was home base for the Zanes, because of its volume, Houston was considered the principal office for broker/forwarder activity. The firm was incorporated in Texas on February 4, 1929. The response of satisfied traders made possible expansion into New Orleans under a second corporate body in 1943. Additional branch offices later opened at Galveston in 1946, and Mobile in 1963. In 1966, in a move toward diversification, Zanes Data Services was formed to provide data processing to the community of New Orleans. It was from this experience, Zanes developed its own sophisticated automated entry package, as early as 1975. Many of the same features and edits have been adopted by the Customs Service and Census in their Automated Broker Interface (ABI). This steady growth and change commanded reorganization for human and physical resources. In June 1974, official merger of the two corporations effected cost efficiency through centralization. In its Organizational Policy Statement distributed then, Zanes basic goal is still true today "...human and physical resources will be guided into dynamic organizational units, which will attain their objectives with a high degree of morale and sense of accomplishment on the part of those rendering the service, and to the satisfaction of those served."